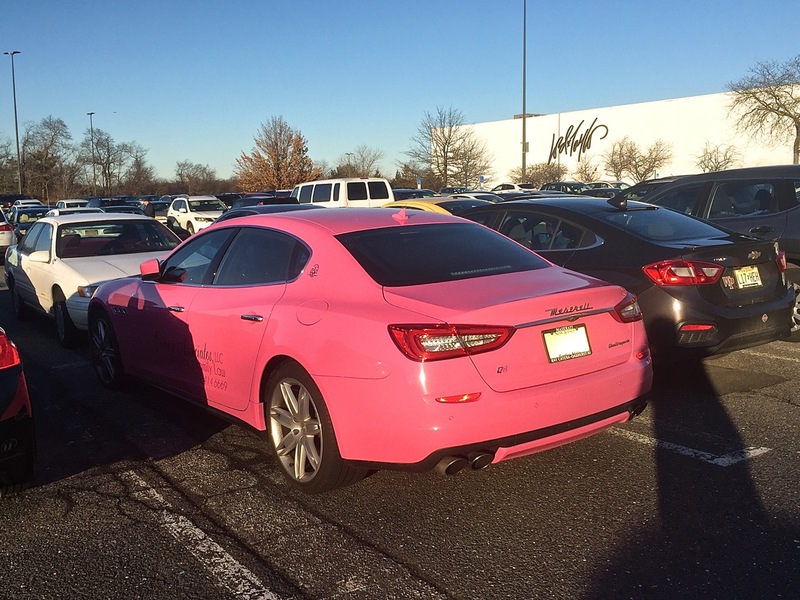 At the mall yesterday, I noticed this gem in the parking lot. 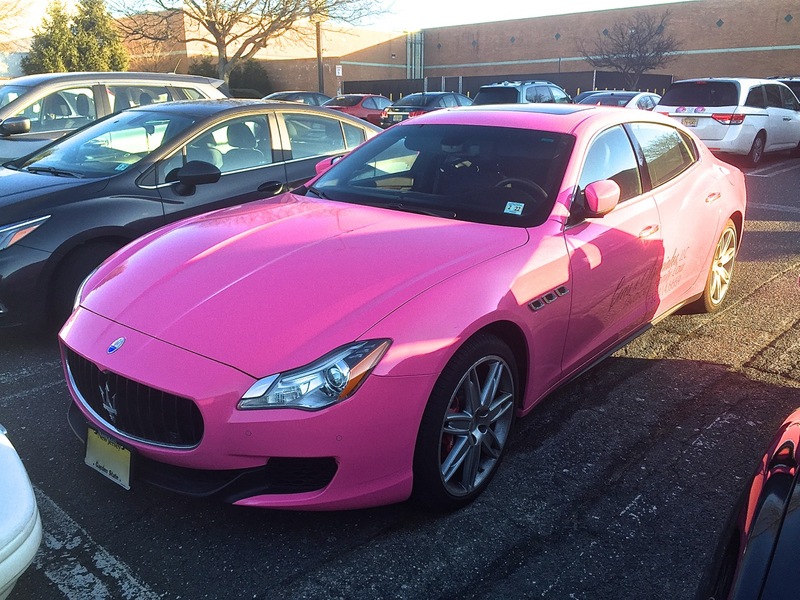 It’s a pink Maserati Quattroporte Q4, and judging from the wording on the side, it belongs to a local divorce attorney. This is definitely one way to get your business noticed, especially by the sort of gentlemen who will wind up needing a divorce attorney. Plus, it’s a Quattroporte, not a Ghibli, so you know they must be pretty good at what they do.